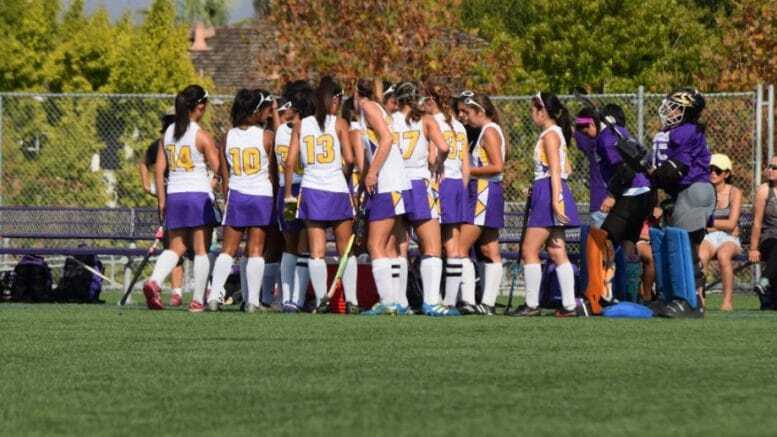 Monta Vista High's Girls Varsity Field Hockey team at one of their first games this season. Another busy Friday for Cupertino high school sports is on it’s way. In varsity football, the Homestead Mustangs plays away at Wilcox High School at 7 p.m., while the Monta Vista Matadors travel to Santa Clara High School at 7 p.m. Meanwhile, the Cupertino Pioneers play at Gunn High School at 7 p.m. In other sports, the Mustangs Girls Varsity Field Hockey team travels to Los Gatos High School for a 3:30 p.m. game, while the Matadors Girls Varsity Field Hockey hosts Saratoga High School at 6:20 p.m.
Show your support and root for your Cupertino team this Halloween weekend. Be the first to comment on "Sports-filled Friday for Cupertino high school teams"